Here’s another J. D. Adams grader, a 1943 No. 124S. 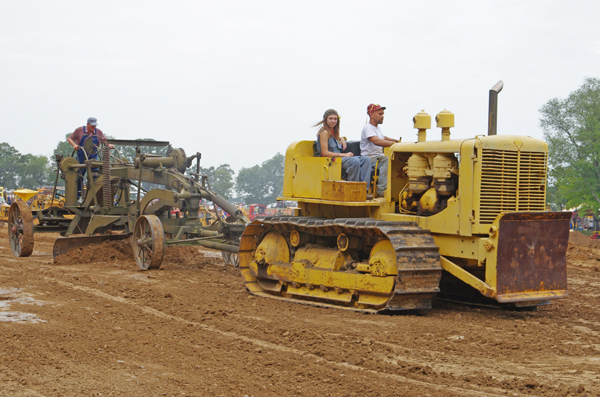 It’s being pulled by a push plate-equipped Allis-Chalmers HD-7 shown in the memory of Alan Smith and Duane Richards.